Hello lovelies! Can you believe Christmas is over already? 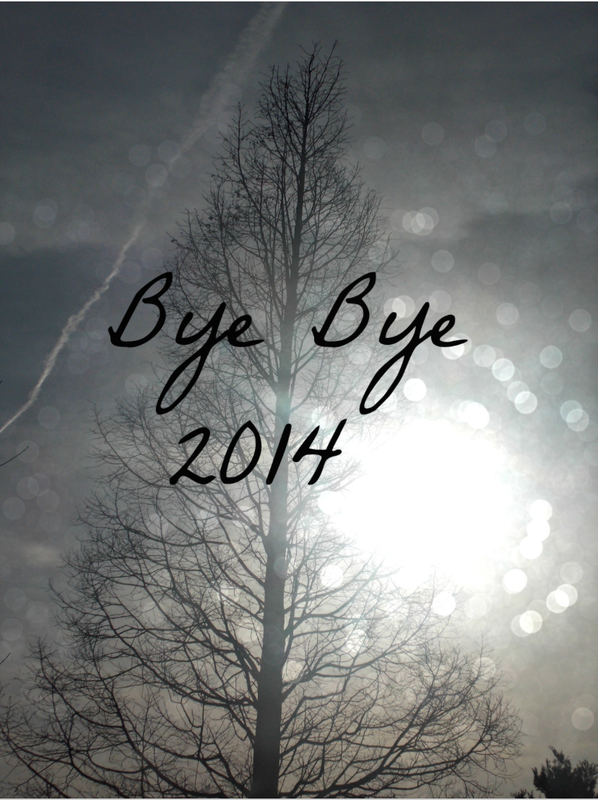 Well that's it now then for another year. It certainly was a day filled with stuffing my face, piling on the pounds and playing terrible board games! 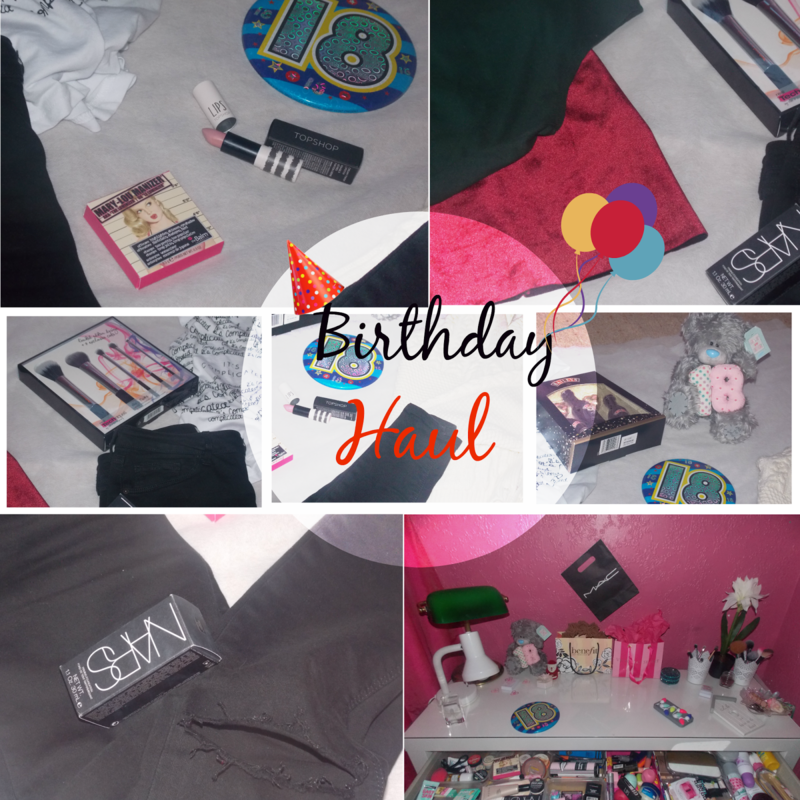 In this post I just thought I would share with you all what I got for Christmas this year, this is in no way me bragging at all I just find it quite nice to keep the Christmas spirit going and check out what everyone received for Christmas this year, so I hope you enjoy and that you all had a lovely Christmas! I am honestly so grateful to my mum for buying this, I'm still in shock that she actually has! I've wanted a macbook for such a long time now. This will make doing my work so much easier for me especially my photography as my sketchbook is actually an Ibook! By far the best present I have probably ever received. If you've been reading my posts for a while now, then you probably know I am a HUGE One Direction fan, I've loved them right since day one when I was only 13!! I have the deluxe edition of the first three albums so of course it was only fitting to have the deluxe of this one too! This is actually the top I worn on Christmas day, if you do go to buy one of these just a little heads up they are rather small fitting. I'm a size 10 usually but I had to actually get this in a size 14 and it genuinely only just covers my belly button! I love how shiny this is and the colour is perfect, I felt very festive in this I must say! Ever since I was a child my Auntie has always bought me and every other child in the family a selection box, which I find so cute! And hey, what christmas is complete without chocolate?! As I've got older people do tend to give me money instead just so I can go out and buy things myself. I'm quite tempted to buy a gilet from Topshop but then again is it really feasible to spend £65 on faux fur?! Although, I would quite like a new bag as well, mine is falling to pieces!! So that's everything that I got for Christmas this year, I did have a birthday last week so I've been spoilt rotten this month! I'm super grateful and hope that you all got everything that you wished for for Christmas. Remember, it isn't all about the presents as lovely as they are, it's about being thankful for the time you are able to spend with your family and giving back to those you who you love. And of course, you cannot forget the beloved Christmas jumper! Earrings: These were a present a couple of years ago, sorry! I know some people don't really bother making an effort when they are just at home for Christmas but for me, it's the perfect opportunity to have an excuse to mess around with some make-up. So I just thought I would share with you my face of the day for Christmas Day! Christmas Eve. It's definitely the most exciting day of the year, in my opinion. Don't get me wrong, I love Christmas Day but when you've opened your presents and had your dinner the excitement is all over. I love the rush of Christmas Eve, how you are counting down the hours all day just for that one day of the year we can't wait for. Everyone is rushing around making sure everything is prepared for the big day tomorrow well except for you. Yes, you the one reading this post you're the sensible one sat at home (most likely in bed!) scrolling through the laptop as you simply have nothing else better to do. Am I right?! Christmas Eve is full of traditions so I thought I would share a couple of mine with you in this short but sweet post before the big day is finally upon us tomorrow! This is one I have done every single year since I was even born. My mum always makes sure we have a new pair, preferably warm with of course a Christmas design right across it. I have fleecy penguin ones this year! I just think it's really nice to snuggle up in bed in your new pj's and then wake up in the morning to open your presents in of course those new pj's! Now what Christmas is complete without junk food? We wouldn't all have that New Years resolution to lose weight otherwise! In our household we get all nice and cosy on the couch watching Christmas movies with a big tin of Quality Street's and a cheeky hot chocolate topped with of course some squirty cream! I love candles. But I love them more than ever during the Winter season, I just find them so relaxing and Christmas Eve is definitely a day full of relaxation for me. I have one burning right through the whole day so when the candle is burnt up, it shouldn't be too long away for present time! I do wish now that I had bought Christmas Eve by Yankee Candle, oh well the Cinnamon Apple one that I am burning right now will just have to do! Lastly, no Christmas Eve is even worth spending without blasting the Christmas songs throughout the day. Not only does it make the day fly by faster but it really does help to get you in the Christmas spirit! So that's everything I like to do on Christmas Eve to get me into the Christmas spirit! 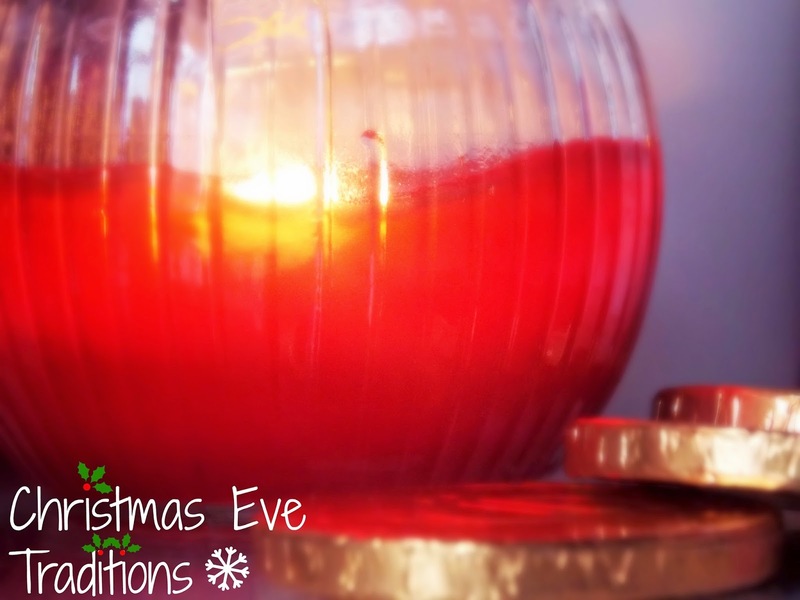 What are your Christmas Eve traditions? Let me know in the comments down below! Hello everyone! Can you believe that Christmas is LESS THAN ONE WEEK AWAY!!! Can you tell I'm excited yet because I really am! With it being my 18th birthday last week and the tree and decorations are well under way around the house, I'm definitely really beginning to get into the full blown Christmas spirit. 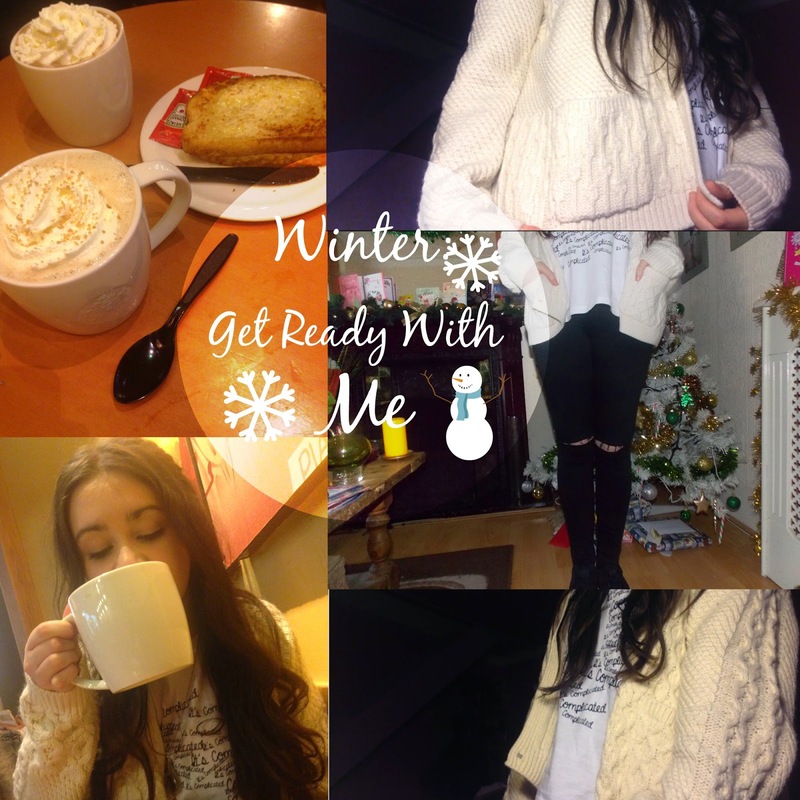 So today, I thought I would just show you what I like to do on a typical day in Winter when I'm not in college including the current make-up I'm loving and a little outfit of the day post too, so I hope you enjoy! First off, Winter is all about comfort so for my outfit I opted for this comfy, over sized cable knit cardigan with y'know those jeans with the rips in the knee from Topshop which just about every girl has right now.. Then just to add a little more edge to my outfit I paired it with this vest top from River Island with the words 'It's complicated' written all over it because well, life is pretty complicated sometimes.. Haha, no but seriously to finish off I added this necklace from Topshop which is long-ish with a silver chain and a compass and then I have no idea how to even explain what the next charm is apart from the fact it looks like a feather duster. This clearly adds to the 'complicated' element of my outfit! Then of course, for my shoes I opted for my brogues because I wear these basically everyday. Now, can you believe I actually tried with my hair for once? I know, it was a shock to me too! For this hairstyle simply split your hair into a middle parting and begin to curl random sections on either side. This just creates more of a natural look with looser curls rather than tight, packed ones. Once your curls are the way you like them, simply take a small section of our hair towards the front of your head on either side. Twist this section and tie off both pieces with a bobble at the back of your hair. You may wish to add a couple of bobby pins just to make this a little more secure. This is a really cute yet simple hairstyle for the winter which looks like you tried a lot harder than you actually did, I love it! For my make-up, I kept it quite simple with a Wintry pinkish glow and minimal bronze. Now, of course it is Winter break so typically of course I had to spend my morning at Starbucks for breakfast then making a few cheeky purchases after that! I opted for a Toffee Nut Latte with a ham and cheese toastie and it was simply devine! So I hope you liked this post! Be sure to let me know in the comments down below what you have been loving now that it is Winter break. Are you excited for Christmas?! Because I know I sure am! ONLY THREE DAYS TO GO!!! Hello lovelies! So today, we're talking advent calendars. But not just any kind of advent calendar, a beauty advent calendar! I will be completely honest and admit that before this year I honestly never knew these types of calendar's ever even existed!! I'm still a make-up newbie and have really only began a major interest for it since receiving the Urban Decay Naked and Naked 2 palettes for my birthday December last year, but since then it's safe to say I've become make-up obsessed. As well as my continuous love for clothes too of course. I've been lucky enough to try out my first ever beauty calendar this year and Benefit as many of you probably already know, is my favourite brand so I was overjoyed at the release of this calendar! Anyway, that's enough rambling from me. 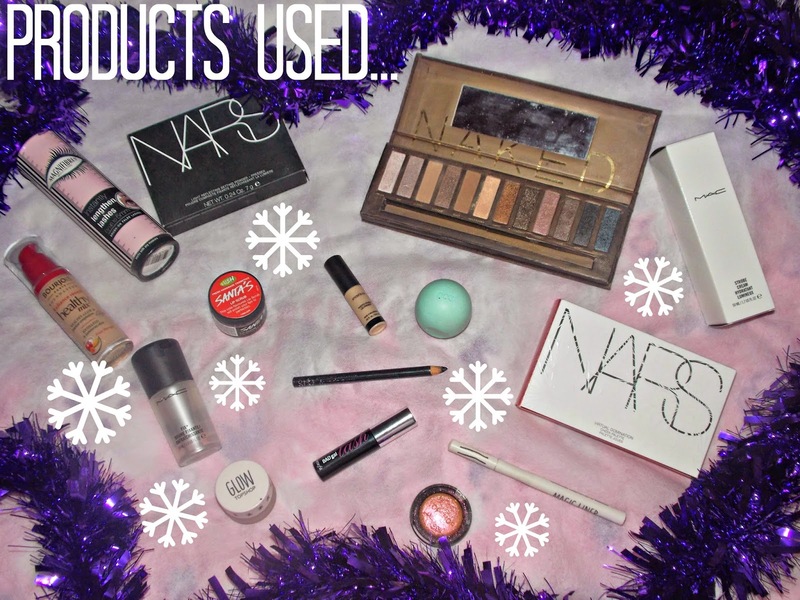 I'm just going to be giving you a mini review of the products I have opened so far! Day One - Heart Shaped Paper Clips - Surprise, surprise on the first day we do not receive a beauty product; go figure! But hey, I was pleasantly surprised by this cute little gift. Although, random I must say these are super cute and I'm definitely going to be using them to keep all of my blogger notes together during the new year! They come in two different shades of pink and I find it honestly so adorable that they are shaped like hearts, it's so sweet! Day Two - Ultra Plush Lipgloss in 'A-Lister' - I'm not actually a big lipgloss person. I love lip products, they are by far my favourite but lipgloss has just never really striked me as a product I love. The feel of this is so creamy and smooth on the lips and appears completely clear on my lips which I love, I'm not overly fond of shimmer on the lips. Although, I would personally much rather where a clear lip balm, I'm sure when I'm feeling adventurous and fancy some gloss on the lips that this will be perfect for that! Day Three - They're Real Mascara - Okay so call me a mood killer but I honestly do not see the massive hype about this mascara, unfortunately. I do have really small eyelashes anyway and am yet to discover my holy grail mascara.This mascara does add length yes, but unfortunately I find that quite like most other mascaras it does fade really quickly throughout the day. Do you have any mascara suggestions for me? Please them in the comments down below!! Day Four - Stay Don't Stray Primer - If you didn't already know this is hands down my favourite Benefit product and so I was super excited to see it was featured in their calendar! It just does its job brilliantly, my eyeshadows 100% stay all day without any shifting, I honestly cannot express my love enough for this product. If you're looking for a long lasting eyeshadow primer then this certainly is the one! Day Five - It's Potent Eye Cream - Now, I've actually never tried any of the Benefit skincare products before so I was super excited to see this behind door number five. I've been applying this under my eyes overnight, just to see if after a few days there is a visible difference in the appearence of my dark circles. After using the product for a week I have definitely seen a reduction in my dark circles, although not completely erased they are definitely smaller and my eyes appear much brighter with a natural glow now under the eyes. Day Six - The Porefessional Primer - Seriously, who does not love this product? Another one of my Benefit favourites for sure. The formula of this product is just beautifully smooth and gives my make-up a much 'cleaner' finish whenever I wear it, I also find that this product can go a long way and you really don't need to use a lot of it at all. This is the third sample size version I've had now including my full size too and it feels like my supplies of this are endless. I wouldn't say my pores are completely erased but they definitely are blurred to a certain extent, I love it! Day Seven - Metallic Silver Hair Tie - Although, stretchy I think this hair tie is actually quite small and I do have a lot of hair so I would probably struggle to tie this securely. It would look really cute as a little wristband though! Day Eight - Sticky Notes - Unfortunately, I cannot persuade myself to actually use these as they far too cute and so I honestly just have them on my desk alongside the paper clips from day one just as a decoration. It looks lovely, I just won't be writing on these! Day Nine - Ultra Plush Lipgloss in 'Dandelion' - As I said before, I'm not a big fan of lipglosses. So already the sizing of this for me is perfect, it will genuinely last me forever haha! After trying this out I was honestly so impressed. My lips were dry and this lipgloss instantly removed any dryness or any dead skin, the moisture rate is amazing! The colour once again is fairly neutral which I love although unlike A-Lister this product has a hint of shimmer and so is more of a going out lipgloss but I have been pleasantly surprised by this. Day 10 - Stay Flawless 15 Hour Primer - I have used this product before and unfortunately was a little disappointed by it. I find that this primer makes my foundation cling onto it and therefore makes my face appear streaky, uneven and rather cakey. Definitely far from flawless. On a more positive note, the packaging is absolutely adorable so it has to receive some brownie points for that! Day 11 - Benetint - I have used Lollitint previously but I've always been a little scared to venture into the world of Benetint due to how deep of a red this is, I assumed I would have cheeks like a clown but I was actually pleasantly surprised. This added a natural flush of colour to my cheeks, you honestly couldn't really tell I had used a product there and as regards for my lips there was only a very subtle change, they became more of a deep pink than a pale pink, this blended in with my natural colour very well. Lovely product. Day 12 - Total Moisture Facial Cream - Firstly, this product smells amazing! And the size of it too, for a sample size it's HUGE! I did have to use a fair bit of this product however to cover the entirety of my face and when spreading this my face initially felt fairly stiff. Once applied however I looked so much more awake, this adds a beautiful glow to the skin and is definitely perfect for those tired Monday mornings! Day 13 - Posietint - Unfortunately, unlike the other tints I have tried this was not a good colour for me. My cheeks became obviously fake, the colour was far too over empowering and my lips became a barbie coloured pink. Definitely a no no for me! Day 14 - Hair Tie with Gold Bow - This is super cute and I'm so happy the band is black too which means it will suit my dark brown hair perfectly. The sizing is also much bigger than the previous silver hair tie and therefore will definitely be able to support my mass ammount of hair, I love! Day 15 - Oooh La Lift: Instant Eye Brightening Cream - This genuinely works wonders. When Benefit claims this is instant they certainly were not wrong to do so. Although, the difference was not a vast one I could definitely see my eye appeared far more awake when compared to the other. Another product perfect for those tired Monday mornings. So I hope you liked this post. 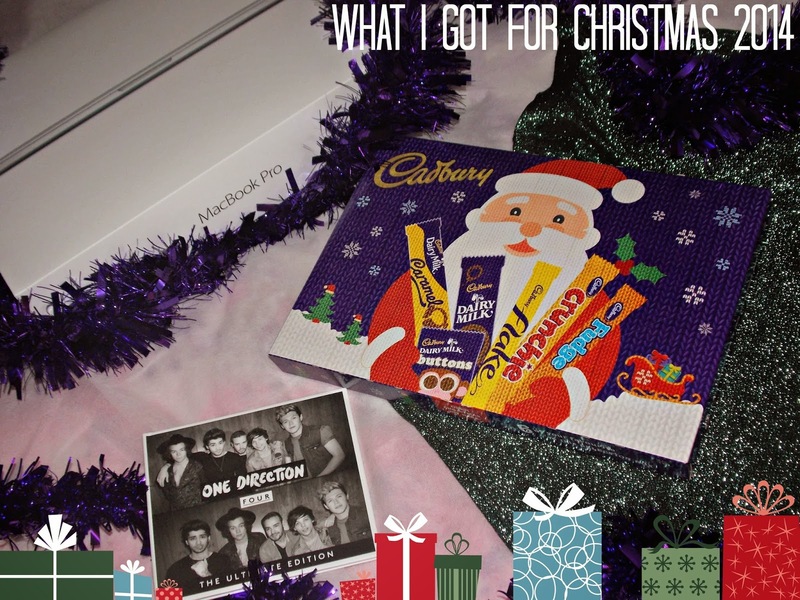 Have you got the Benefit Advent Calendar? Let me know in the comments below what you think of the products so far? 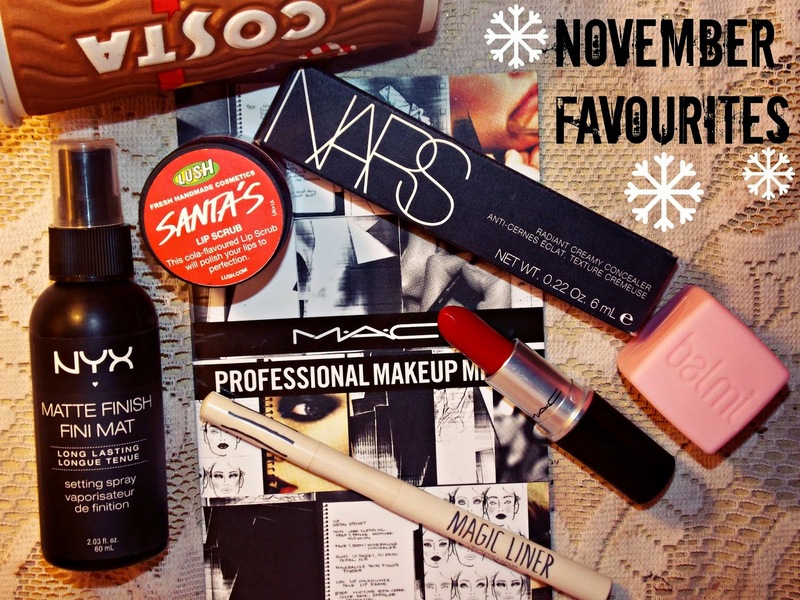 What other beauty advent calendars have you tried out this year? The nail polishes in the Ciate one look lovely so I'm super jealous of anyone who has that! Until next time! Hello all! I hope you're all well and are enjoying the holiday season so far. 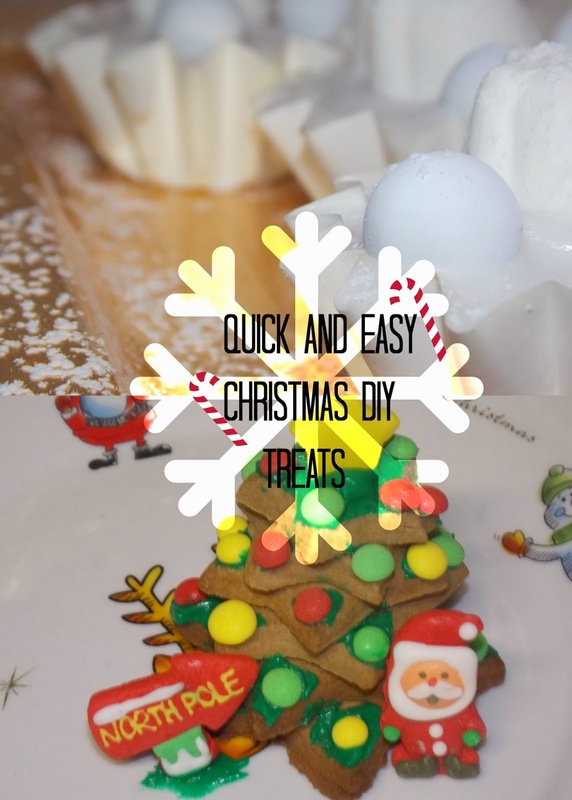 Today, I'm going to be sharing with you a couple of really easy DIY treats you can make using the DIY Christmas food kits. Call me a cheater but I'm lazy and if you can't be lazy during Christmas time, then when can you be lazy?! I've just picked up a couple of my favourites and thought it would be nice to share the recipes with you and how these super yummy treats turned out, enjoy! So I managed to find probably the cutest DIY baking kit ever made and it was only £1.50!! Yes, that's right I really did just say £1.50!!! The kit includes green icing, icing decorations and some gingerbread stars for you to stack on top of each other to create the shape of your Christmas tree. Massage/Squeeze your icing for a couple of minutes until smooth. Once the icing is prepared, pierce open a hole in the bag, preferably the corner and begin to squeeze amounts onto the centre of your gingerbread pieces then stack in size order with the biggest at the top and the smallest on the bottom. To create your Christmas tree shape, stack in in a slant. Once all stacked, begin to fill in any blank pieces with any remaining icing sugar until your tree looks more like a tree rather than a stack of brown stars! Then, to finish off just place your icing star at the top of your tree and decorate each 'branch'/corner of the star with the icing decorations as though there are baubles now on your tree. And ta da! You are done! Yes seriously, how easy was that? You can now go ahead and impress your friends and family at any Christmas get togethers with your clearly talented baking skills! Another set I managed to pick up for £3 was this DIY cupcake set. You can probably find anything like this at your local retailer. The exact package I purchased included 2 bags of cake mix and 36 paper cake casings. Grease paper cases and place on baking tray. Crack your 2 eggs together in a bowl and whisk with a fork until the mixture is smooth. Add in your 2 bags of cake mix and continue to whisk once again until the mixture is smooth. If your mixture isn't smooth enough add a couple of teaspoons of milk to soften its consistency. Then add one teaspoon of butter, furthermore mixing until smooth. Then place your mixture in each of your paper cases then place in the oven for 15-20 minutes. Once cool, mix your icing sugar with water until you have found the correct consistency. Begin to place on each of your cakes. Place your snowmen marshmallows and chocolate snowballs onto your cakes or any style of decor you wish to use. I just thought that these were really cute and seasonal as the white icing could represent the snow! To finish, sprinkle on your dusted icing sugar. Hello everyone! So with the colder weather rapidly approaching now we're in the midst of December, it's important we take extra care of our skin. The harshness of the wild wind and the freezing snow can dry out our lips, face and even our hair! And as well as really just making us feel a little more run down than usual on the whole too. 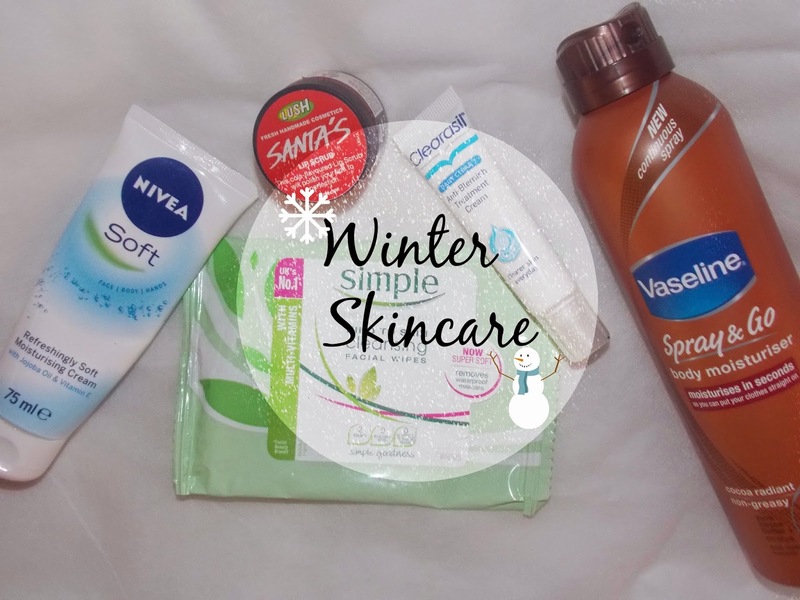 So today I'm just going to be sharing with you my personal skincare favourites to help tackle the harshness of winter. Nivea Soft for Face, Body and Hands - As a person with combination skin, I find it really important to keep my skin in tip top moisture condition on a daily basis. I do tend to change my moisturisers up quite often but at the moment I am really liking this one by Nivea. It contains Jojoba Oil and Vitamin E which is even better when your skin tends to be a little more thirsty in the winter. I also love how this dries very quickly, so I am left with enough moisture but not too much at the point where my face appears shinier than a steel pan. Simple Kind To Skin Facial Wipes - When I'm not using my all time love the 'Garnier Micellar Cleansing Water' this becomes my perfect alternative. Sometimes when removing my make-up, particularly on my eyes it can feel as though I'm ripping my eyelashes off of my face but Simple's gentle formula removes my make-up with ease, leaving it make-up free, hydrated and refreshingly cleansed. Clearasil Daily Clear Anti Blemish Cream - I have recently changed from my Freederm gel to this and I must admit I have began to break out again but this could just be due to my skin not being fully used to the change of product yet. Even though I am breaking out more once I apply this treatment the next day the blemish has definitely reduced in size as well as redness too. The great thing about this product is its' formula is very similar to a moisturiser and so blends into the skin beautifully, with gel serums I find you can only apply them at night as they have to be left to dry up whereas this can be worn alone or under make-up during the day due to its' moisturising consistency, therefore unlike other products, your skin does not become flaky and dry out; perfect for the winter months. Lush Santa's Lip Scrub - As mentioned in my November Favourites, this stuff works wonders to my lips. In the colder months my lips do tend to dry up more often and so I find myself constantly reapplying lip balm throughout the day especially when I'm wearing a lipstick as this dries out my lips even more. But a little scrub of this onto my lips in the morning has really made the appearence of them smoother and much more moisturised for longer and the coca cola flavoring is just the perfect seasonal bonus. Vaseline Spray and Go - This is definitely an old but still very loved favourite of mine. As I've said about a million times now in this post the winter really does dry our skin out, when you're in a rush (Me, pretty much every morning!) and need a quick moisture boost then this product is perfect for you. Not only does it smell of cocoa-butter which is just heavenly already but it dries super quick too, genuinely in seconds. Just as it says on the packaging itself "So you can put your clothes straight on!" For only £4 this product really is a little life saver for my skin not only in the winter but all year round. So that was all of my current favourite skincare products, I hope you liked this post and if you have any other skincare recommendations then please let me know in the comments below. I love trying out new products, so I would really love to hear what you guys are enjoying at the moment too! Until next time..
Hello lovelies, how are you all? Are you enjoying the rush of Christmas shopping? 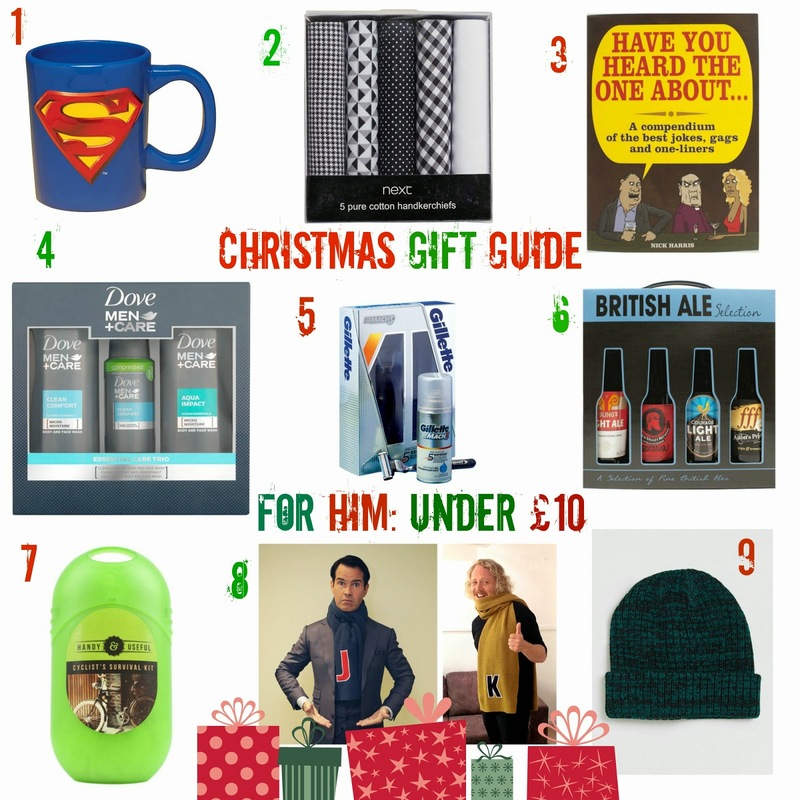 Incase you're still really stuck as to what to buy him for Christmas but are unfortunately a little strapped for cash then keep reading on for some gift ideas for him which are sure to put a smile on his face for under £10! Also, I posted a Christmas gift guide for her on Monday so feel free to check that out here too! So I hope you like this post and that it hopefully will give you a little bit of much needed gift inspiration. Superman Mug £10 Next - Now, who doesn't love a good cuppa especially on Christmas morning? There really is nothing like sitting by the fire surrounded by presents and a good old brew, so why not give him nice mug to make that first Christmas cuppa in after all every super man wants his own superman mug right?! X5 Handkerchiefs Pack £10 Next - Has he got a special event coming up soon? One involving the good ole' suit and tie? Then why not spruce his suit up even more with a choice of five beautifully patterned handkerchiefs, the suit combinations are endless! 'Have you heard the one about..?' Joke Book £8 Boots - I'm pretty sure it's a well known fact that ALL men are jokers. They simply love to wind us up and tell the most unfunny jokes ever (Usually rather rude ones too!) or maybe these kind hearted creatures are simply attempting to raise our spirits and put a smile on everybody's faces, how sweet? Either way, not only will this probably make him laugh but maybe his joke skills might actually improve! Who knows, for only £8 it's definitely worth a try! Dove For Men Trio £9 Boots - As I mentioned in my last post, all about skincare; our skin is unfortunately very fragile in the winter and can dry out a lot easier than usual. So why not give his skin that much needed woman's touch this winter and buy him this lovely dove set for only £9. I've tried Dove products in the past myself and always thought they worked really well so for a trio pack this is a deal not to miss out on! Gilette Mach 3 Limited Edition Set £6.50 Boots - With Movember just ending has he recently became attached to that beard you really cannot stand?! I'm sure he'll be keen to remove it with this limited edition set from Gillette and hey, it's limited edition; that's got to get bonus points for being extra special, right? British Ale Selection £8 Boots - Now, what man doesn't love a good drink? And I'm sure if we are thinking about men stereotypically, the image of a man sat at a pub on a Sunday night guzzling down 7 pints of beer may probably come to mind. If so, then this is perfect for that beer loving man you instantly began to think of. Cyclists Survival Kit £8 Boots - Simply because this gift guide should be aimed at every possible male there may be. If he loves the outdoors, has a bike but never ever uses it or is an active, cyclist enthusiast then this joke styled present is sure to put a smile upon his face. Not forgetting, becoming really helpful on those long bike rides! Matalan Alder Hey Alphabet Scarf £10 - As mentioned in my Christmas gift guide for her, this is definitely one of my favourite gift ideas this year. Not only does it help out Alder Hey children's charity but will keep you warm with a smile this Christmas with the lovely letter personalisation. This really is a gift where it is the thought that counts. Topman Beanie £8 - Beanies have become really on trend this year so this is a really simple yet thoughtful gift idea which you are sure to keep him looking warm and stylish this Christmas. The options of beanie designs are also pretty much endless so I'm sure there will be one out there that he will be guaranteed to love. IT'S CHRISTMASSSSSSSSSSSSSSS! November has finally come to an end which means that Christmas is well and truly on its' way. My 18th birthday is also in two weeks so I guess you could say I am pretty excited for December! I have tried out quite a couple of new things this month, some of which I'll be sharing with you in this post. So I hope you enjoy! I've been really lacking in the skincare department this month. My holy grail facial wash the Neutrogena grapefruit facial cleanser has just ran out and I've also had to change my spot treatment from Freederm to Clearasil, as the Freederm ran out and they unfortunately had no more in stock. My skin has now said goodbye to its' phase of clear skin and I'm beginning to break out again so if you have any good spot treatment recommendations or even just skincare in general - I have combination skin, mainly oily! Then please let me know in the comments down below! Lush Santa's Lip Scrub - I recently only decided to try out the Lush bubblegum lip scrub last month and I completely fell in love with it, so I had to get my hands on the limited edition Santa's lip scrub whilst I could. A choice I definitely don't regret. Of course, the lip scrubs work brilliantly for my lips removing dead and dry skin with ease and the coca cola flavouring just tops this product off, I actually went to visit the original Coca Cola van the other day from the Christmas advert as it was in my hometown and this definitely put me into the Christmas mood. Just an all round great product. Balmi Lip Cube in 'Strawberry' - I've actually never seen a lip cube before and when I was in Topshop a couple weeks ago I seen this and simply felt the need to give it a go. The smell first off is amazing, it reminds me of those strawberries and cream flavoured chupa chups lollies I used to eat all the time as a kid, heaven! Then the smoothness of this product is honestly unreal, hands down the softest lip balm I have ever tried. My lips have honestly never felt so good! They remind me of the EOS lip balms so if you love those, I would definitely recommend trying out Balmi too! Mac Red Satin Finish Lipstick - Oh my. FAB-U-LOUS is all I have to say about this product. The pigmentation is flawless and it honestly lasts through pretty much anything. I can drink, I can eat and the pigmentation is still pretty much all there so 10/10 for staying power points! The product honestly barely even smudges as well and if it does a little bit that's just my clumsyness and probably the fact I'm too lazy for lip liner. The perfect red lipstick. Nars Concealer in 'Light 2 Vanilla' - This has definitely now become my holy grail concealer. The coverage of this is flawless. My dark circles with stories of sleepless nights become lifted, my blemishes become concealed and even better, it lasts all day! Usually with a concealer, especially if I have a really bad spot on the middle of my forehead I feel the need to layer up my concealer throughout the day but with this one I can walk confidently knowing my spots are not popping out of my face for the entire world to see. Topshop Magic Liner in 'Engraved' - For an inexpensive eyeliner I am genuinely really surprised by how good this product actually is. The application is so easy, its' thin felt tip hugs the lash line, leaving a neat, thin but not too thin line across the entirety of the lid. The thin tip also helps to create the perfect little wing. This does last throughout the day but if you do touch it (which I can't see why you would..) it will smear off very easily unfortunately! NYX Matte Finish Setting Spray - This product completely baffles me. For essentially 'water' to be sprayed onto my face and make it matte and not oily, is amazing but seriously highly baffling. Since using this I've actually noticed such a difference in the appearance of my make-up, it appears 'flawless' for longer and makes my make-up last all day. Definitely a new must have for me. So can we please take a moment to just appreciate the bae's new album 'Four'. So as you probably may already know One Direction released their newest album this month. My favourites have got to be '18' 'Night Changes' 'Fireproof' 'No Control' 'Act My Age' and 'Girl Almighty'. So basically all of them haha! The album follows through with the 'pop-punk' elements of Midnight Memories with a more upbeat tone pumped throughout the album. I completely love it. This past month, I've been trying to wear a little more jewellery than usual as I honestly barely ever wear it! I've been feeling a little more adventurous and experimenting a little more and I've picked up a couple of 'Bohemian' inspired pieces from Topshop. I am especially in love with the blue velvet choker, I think it's so pretty and unique how a necklace is actually attached to the choker, it just adds a lot more interest and detail to an outfit. Both of these jewellery pieces feature layering which I have been loving this month, especially with simple, block coloured clothes. It really does complete your outfit. And for my favourite cosy drinks of the month then hands down it has to be the Starbucks Toffee Nut Latte, it's so sweet and yummy with such a strong flavour, I love it! I've also been loving the Gingerbread Latte from Costa which comes with a mini gingerbread man which is such a cute little touch! I am yet to try their brownie hot chocolate so I definitely think I'll be giving that ago this month before the promotion ends.